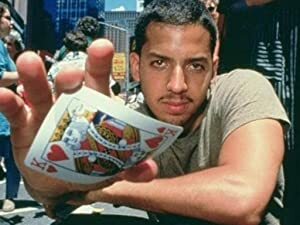 David Blaine: Street Magic (1996) – What's New on Netflix Canada Today! In this show David Blaine amazes people with his magic and use of optical illusions. There are no gimmicks, rules, or tricks just pure talent. Renowned magician David Blaine performs illusions and tricks up close in street performances that awe and amaze his in-person, on-the-ground audience. In this show David Blaine amazes people with his magic and use of optical illusions. There are no gimmicks, rules, or tricks just pure talent.